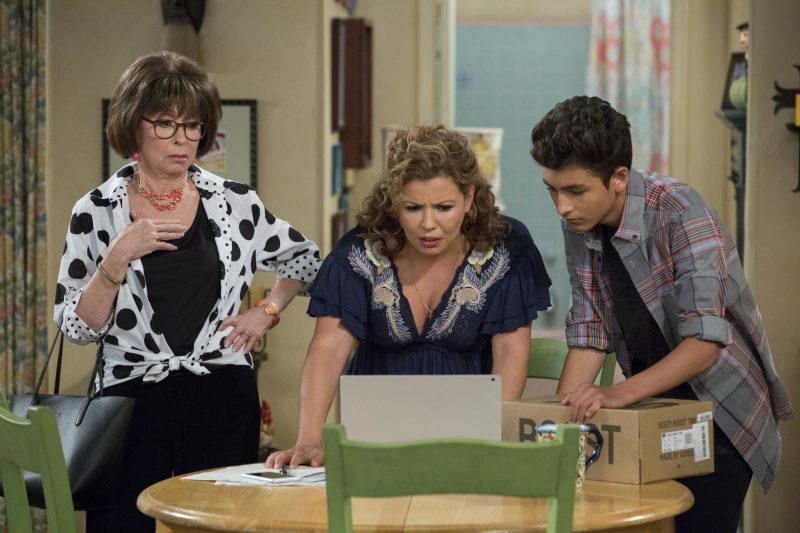 "The third season of the Netflix sitcom is its best yet"
There's something magical about settling in to watch an episode of One Day at a Time. Perhaps it's the nostalgia factor of watching a multi-cam sitcom taped in front of a live studio audience. Maybe it's the familiar pacing of a family sitcom. It could be the sharp writing that is infused with heart. Or it might just be the incredible cast who continually translates the strong writing into inspired performances (something that isn't a sure thing when your cast includes younger actors). I actively rationed my season three screeners, not wanting my time with the Alvarez family to come to an end. I cannot recommend this season highly enough. 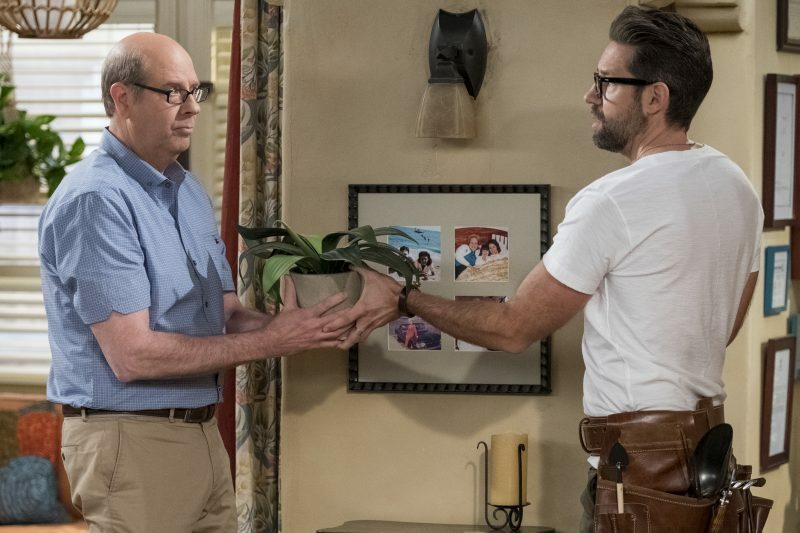 One Day at a Time remains head and shoulders above the other sitcoms on streaming services (and, frankly, it's better than nearly everything on regular television as well), and manages to provide the expected (and, more importantly, earned) laughs inherent in the genre while still allowing for the serialization necessary for a solid binge (again, I would highly recommend savoring this season, as it is just that great). Having spent two seasons with the Alvarez family (which includes building landlord Schneider and Dr. Leslie Berkowitz as well), the writers trust that the audience knows the characters well enough at this point to take the stories beyond the more basic world and character building of past episodes. We know Elena is super proud to be gay, and the jokes made at her expense (particularly in the great season premiere that sees strong guest starring turns from Gloria Estefan and Stephanie Beatriz) are genuinely funny and never cutting. The same can be said for Dr. Berkowitz and his family issues or Lydia's general fabulousness. Sure, they can be over the top (it is a sitcom, after all), but every character feels completely lived in at this point and there's plenty of humor to be mined from their individual quirks. Along with the nuanced writing, the performances have also grown as the series makes its way through its third season. The show's seasoned cast members, led by the dynamic duo of Justina Machado and Rita Moreno, are so good. Machado effortlessly grounds the show with her performance, often being called upon to play the straight man to the other character's antics, but she continues to shine when given a chance to cut loose with her comedic chops. And what can be said about Moreno, one of the greatest living performers, that hasn't already been said? Every moment she has on screen is a gem. I never knew I needed to see Rita Moreno pretend to be high on edibles, but it turns out I did. And you do, too. Trust me. While it's taken a bit of time for the series to figure out how to best use him, Stephen Tobolowsky gets a chance to shine this time around, as Leslie spends more time with Lydia (platonically, of course). And, while they are the youngest cast members, both Isabella Gomez and Marcel Ruiz (who has grown like a foot between seasons- Alex really is growing up!) are excellent, especially when given more adult storylines (it wouldn't be a Norman Lear series without an episode or two focusing on complex issues of growing up). And then there's Todd Grinnell's Schneider. Over the past two seasons, my one critique of the series has been that it didn't quite seem to know how to use Schneider. Sometimes he was the show's resident doofus- charming as all get-out, but the character who always managed to be the fool when one was needed. Other times, Schneider was the voice of support and reason, his sage advice or shoulder to cry on superseding his inability to understand the most basic elements of life. It never quite tracked to me, and while I appreciated Grinnell's work, I never really knew what to make of Schneider. Well, season three gives Schneider and Grinnell the story arc they have been waiting for, and both the character and performer absolutely shine. I won't get into exactly what that arc entails, but it's one of the best pieces of storytelling the series has done to date, drawing on the audience's knowledge of and love for these characters to great effect. Kudos to Grinnell, and showrunners Gloria Calderon Kellett and Mike Royce, for pulling it off. All-in-all, these thirteen episodes of One Day at a Time are a joy to watch. Smart, funny, and heartbreaking, the season is one of the best things Netflix has put out in awhile, and it's worth your time. This is a show that the entire family can sit down to watch together (something that is too rare in this day and age), and it will hold up for adults and kids alike. Take some time this weekend and visit with the Alvarez family. I think you'll be happy that you did. One Day at a Time's third season premieres Friday, February 8 on Netflix.